Hi Friends, thank you for all your nice comments on my painted gardening bench! It was so much fun to take a look around at all the wonderful and cheerful outdoor painted projects! I have an old bench that can no longer be sat upon. I love what you did with yours!!! Thank you so much for the inspiration, and for co-hosting the party! What a fun theme!! Thanks so much for the party! 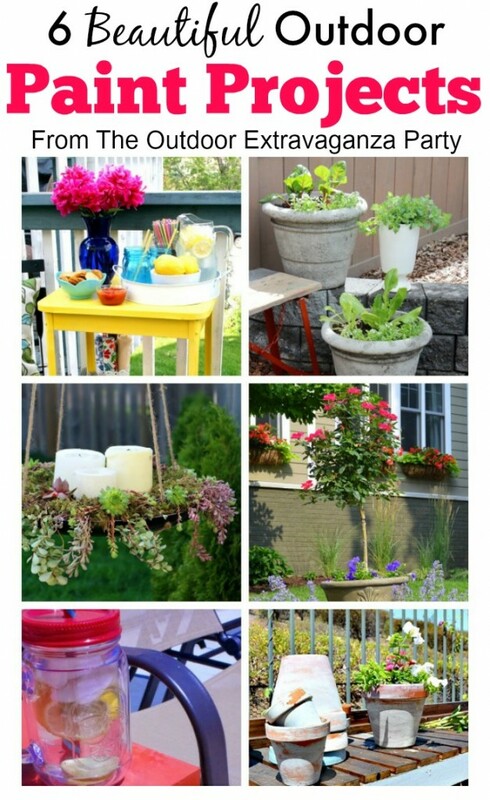 I added a couple of projects that work great for outdoor flowers!